Usually dispatched within 3 to 5 days. Showcasing inspiring homes around the world, the book reflects our growing passion for crafting, stitching and painting. These are homes packed with personality and interest, full of homemade pieces, restored junk-shop finds and one-off treasures. Interiors stylist Selina Lake and writer Joanna Simmons will show you how this homely, crafty look has been given a modern twist with vivid colours, tactile fabrics and bold combinations. The book begins with the Themes, from the basics of modern craft to making colour and pattern work. It also focuses on imaginative ways to recycle and reuse, from transforming furniture with a lick of paint to finding inspired new uses for everyday items. Next, Details looks at textiles, furniture and display, while the third section, Spaces, shows how the style works beautifully in living rooms, kitchens, bedrooms and bathrooms, children’s rooms, workrooms and even out of doors. 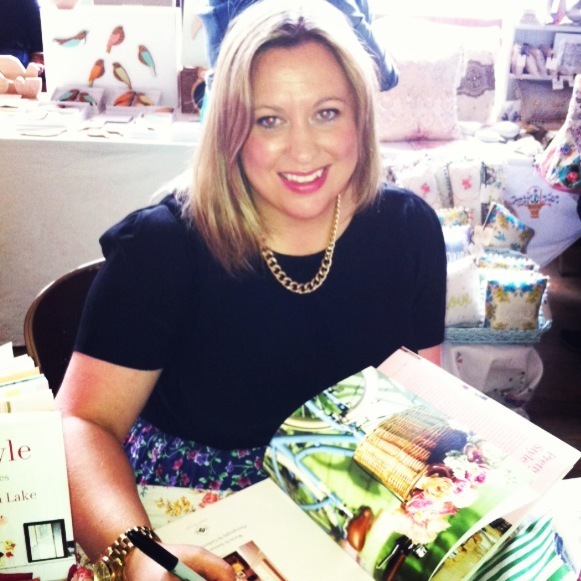 Selina Lake is a freelance interiors stylist. Her work regularly appears in home and lifestyle magazines including Marie Claire and Real Homes. Selina’s earlier books Bazaar Style and Romantic Style are both published by Ryland Peters & Small. Personally the most useful styling books do not distract me with grand scale rooms, rare architectural features and all that. What I want from an Interior styling book is achievable illustrations of rather normal rooms brought to life with a unique style that can be made to suit my everyday life. 'Homespun Style' to me seems personal. 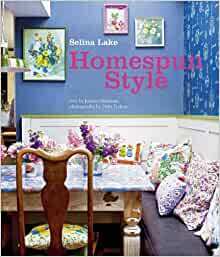 I have LOTS of Interior books and I really get a buzz from looking at them but Homespun Style is my taste in one. It is a collection of colours, patterns and styling that suits me down to the ground. I feel cross that people want to write about the Author and feel the need to slate her and her books. It's not helpful. If Miss Lake and her books are not to your individual taste, that's OK. But please go to a book shop, find the Interiors section and look for an author and their books that you do like and buy them. This is not a 'How to make' book or I believe Miss Lake or Ryland, Peter & small would have seen fit to add to the title. 5.0 out of 5 starsWonderful homely interiors with a vintage flavour but modern twist. A real treat! Selina Lake is simply one of the best interior stylists around. Looked through this book whilst on a trip to Brighton. It is full of wonderful homely interiors with a vintage flavour but still has a modern twist. Fab photography too. A real treat. Beautiful ideas for home decor. A shame ALL examples are Scandinavian. fabulous photographs and the usual inspirational writing we've learned to expect from Selina, only criticism; very similar to her other book - bazaar style. Great book, well packaged and quick delivery. Many thanks. Fantastic book for ideas for all rooms in the home, a book I repeatedly look to , gorgeous full page pictures and good size book.Reccomended! I Love this book! It is almost brand new. Wonderfull for my collection. I cant wait to read it all.